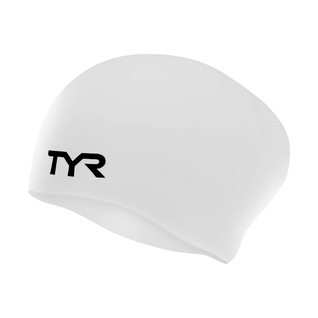 The Long Hair Wrinkle-Free Silicone Cap gives new meaning to the mantra "Long hair, don't care!" 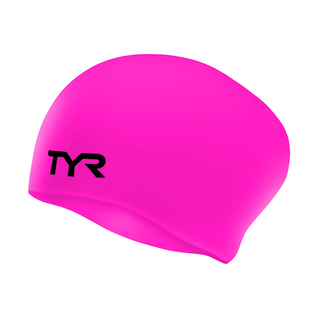 New Asymmetric Design is shaped to fit longer hair, and to reduce pressure around head. 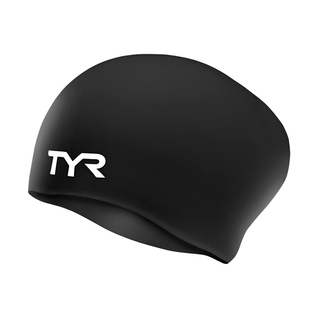 It effectively reduces drag in the water and maximizes your speed. I don't have long hair but I do have a large head. 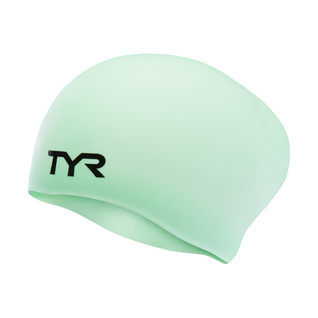 Good swim cap that fits my head. Good quality, good price, description was accurate. I bought it for my daughter who has long hair. It works very well. Very comfortable. I purchased this product because of the representations that it had enough space for longer hair while keeping the hair dry. There was sufficient space for longer hair however it was not remotely effective in keeping the hair dry while in the pool.